The Mayo diet is a low-calorie diet that saw its birth in the 1980s in the United States. It was a regime that was very much followed at the time and that still works as well today. It is a very restrictive diet because its calorie intake wavers between 800 and 1,000 calories per day. So this plan targets the most motivated of you. By following it to the letter the Mayo diet promises you on 14 days of very good results going up to you to lighten of 7 pounds and this without additional physical activities. Despite being strict side it is easy to apply not so much its ease of execution which requires little preparation as much by the food that composes it. Dinner: 2 boiled eggs, spinach and celery. 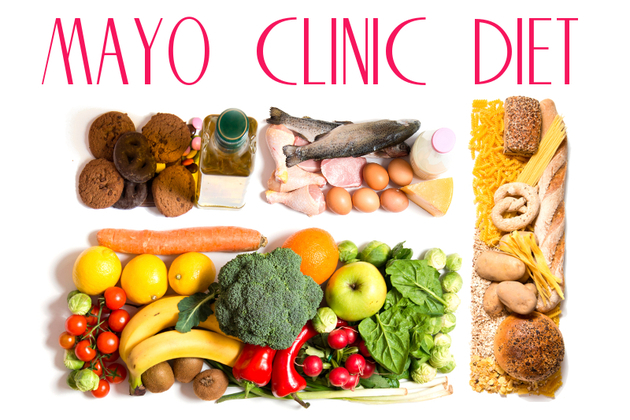 Fats, sugars, starches, legumes, dried fruits and dairy products are prohibited in the Mayo diet. Of course just like alcohol and nibbling between meals. You should only eat your food during the three meals of the day. The only fruit accepted by this diet is grapefruit. Vegetables authorized in small quantities are tomato, cucumber, salad, spinach and celery. But the most important is to eat as many eggs per day between 6 to 7. This diet is based on the high consumption of eggs per day. Once the 14-day program has been completed, it is necessary to stabilize its weight by slowly and gradually reincorporating certain foods such as starchy foods. You can eat a small amount during lunch for example. And to put all your chances on your side a regular and physical activity is paramount to stabilize your weight and not regain the lost pounds during the diet. And so avoid the famous yoyo effect. Like many diets that make weight loss fast this diet causes long-term deficiencies. One should be vigilant and apply it only for 14 days. Beyond that you would take your metabolism too big risks.